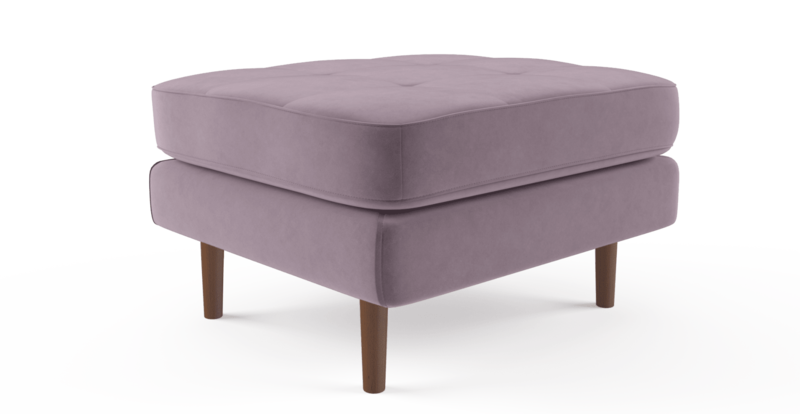 Introducing comfort and style to your lounge is as easy as adding a Frank Ottoman. Its mid-century style can bring timeless elegance to any modern decor. With a choice of more than 20 colours, you’ll find a match or an accent colour to work with your furnishings. 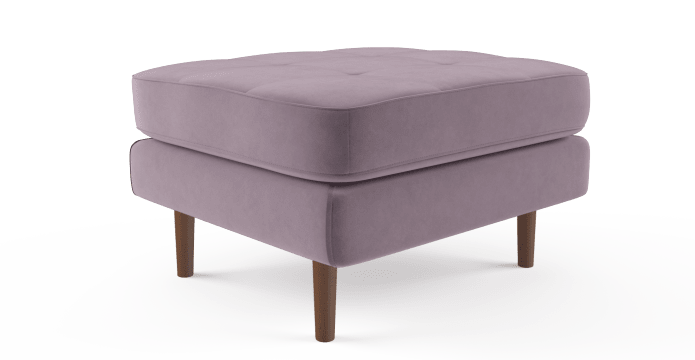 Whether you’re after a linen-blend or a velvet finish, the Frank Ottoman has got the look. With a larch wood frame, it's built for strength. 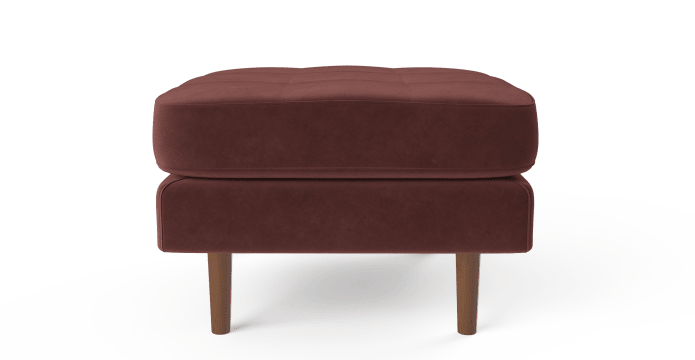 Solid birch legs add a touch of quality and style, while the cushion top entices you to put your feet up and relax. The Frank Collection is wide enough to accommodate the whole family. 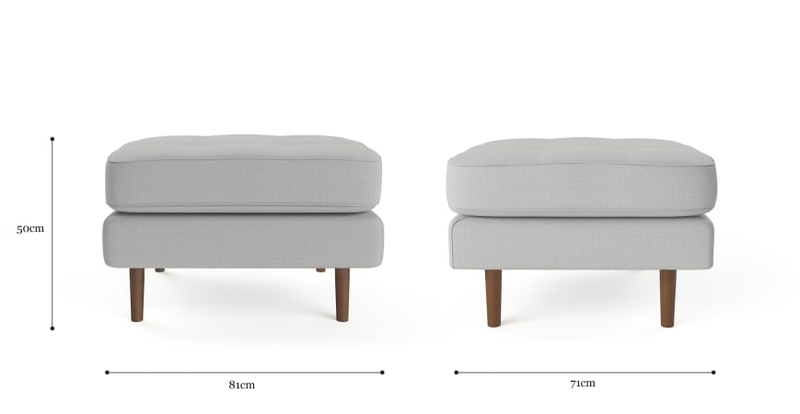 Once you’ve felt the comfort of the Frank Ottoman, you’ll want to complete the set. 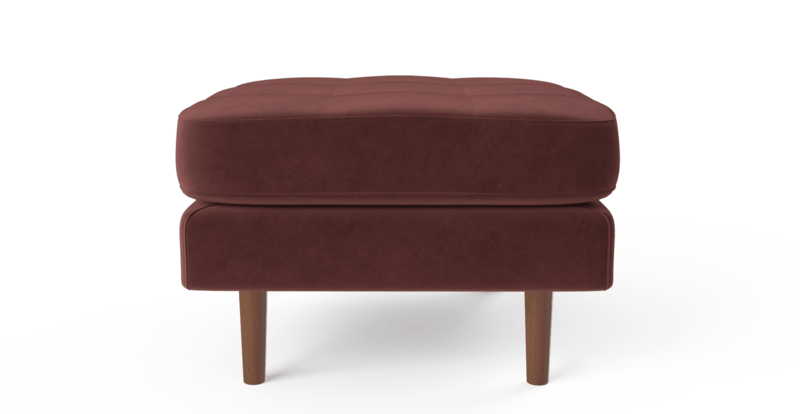 See, touch and feel our fabrics used on our Frank Ottoman. For Free! Simply select up to 3 fabrics and add them to your cart. Delivery is on us.